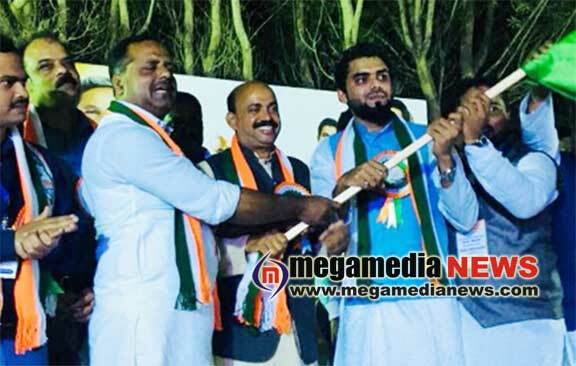 Mangaluru : The Youth Congress NRI Cell held a Mega Congress Convention at Jeddah, Saudi Arabia on Friday to unite party men ahead of the assembly election. The convention at Impala Garden of Sharafiya was inaugurated by minister for food, civil supplies and consumer affairs U T Khader in the presence of minister for forest, environment and ecology B Ramanath Rai, MLA B A Mohiuddin Bava and other leaders. More than 500 persons participated in the convention. This is a part of our plans to open a permanent unit here. We’ve already held two programmes in Saudi Arabia and there’s one more in Zubail on Saturday,” Khader said. Meanwhile, the Congress holding a convention in Saudi Arabia has attracted the wrath of Communist party leaders. CPM leader Muneer Katipalla, the Communist party candidate from Mangaluru City North, said Congress leaders are holding a convention of non-resident Mangalureans in Saudi Arabia in the run-up to the election. “The Congress did not raise its voice when Mangalureans lost jobs during Saudization. The government did not find solutions when Mangalureans in Saudi Arabia suffered. They have no moral right to seek votes there,” Muneer wrote on his Facebook wall. In February, MLA Bava was in a soup after a audio clip in Beary language offered free round tickets to 700 voters working in Saudi Arabia during the election. Even as the clip was circulated on social media, Bava disowned it and said he had not released it.